Begin by praying for wisdom, understanding and direction as you consider starting a nursing home ministry at your church. 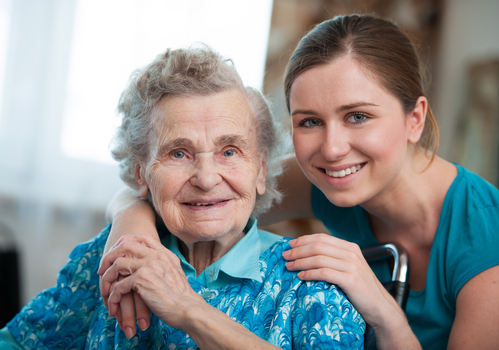 You can pray with great confidence knowing that the Lord loves the people living in nursing homes and wants them to find comfort and hope in Jesus. When the heart is in tune with God’s will, He will empower you to fulfill it. Searching God’s Word helps us gain a clear view of God’s Will. Below you will find several scripture references related to this mission field. As you read the verses, write down what God has to say about ministering to the elderly, widows, the sick, the grieving. In addition, write words that give you confidence that the Lord can and will use you as your heart and mind are in tune with His desire. 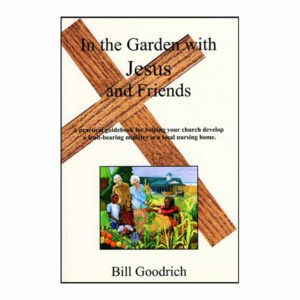 “In the Garden with Jesus and Friends” is a practical guidebook for helping you and your church adopt a local care home and develop an effective ministry there. Obtaining your church leadership’s support, finding a care home, recruiting helpers and tips on making your first few visits meaningful are all detailed in this brief, 80 page book. Over the past 20 years, the approach outlined in “In the Garden with Jesus and Friends” has helped thousands of people begin thriving and life-changing ministries. Order your copy of this resource here. For additional resources to help develop your nursing home ministry, click on a button below.